The return of wolves, lynx and bears to the Czech landscape is not always easy. Some negative public opinions – which were behind the persecution and almost complete extinction of carnivore species in the past – still persist. The main problems threatening the survival and expansion of large carnivore populations are poaching, landscape fragmentation and legal hunting. Increasing the public acceptance of large carnivores is the key issues in their conservation. After a period of absence, top predators are returning to the landscape dominated by human activities, including livestock breeding and game hunting. 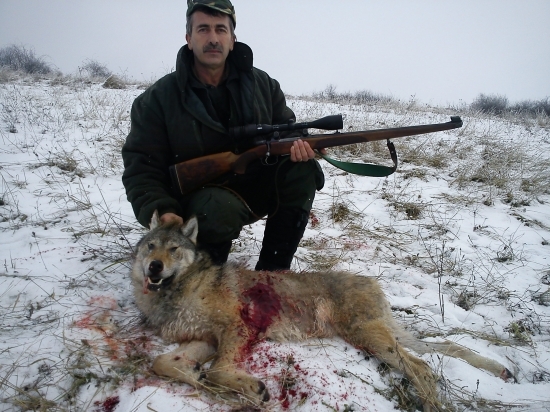 Negative attitudes towards large carnivores are widespread among Czech hunters. In one study, for instance, only 19% of Czech hunters agreed that the Eurasian lynx play a positive role in the ecosystem . 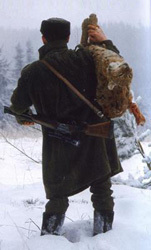 Despite to legislative protection carnivores are still illegally hunted in the Czech Republic. 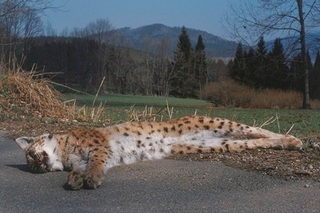 Out of 14 lynx telemetrically monitored during the research project in the Bohemian Forest, a half was poached. In the anonymous survey conducted in 2001, 20 out of 206 hunters admitted to illegally killing a lynx . It is difficult to estimate the real extent of the poaching. In most cases, there is no evidence that the crime even happened. In 2009, remains of a poached bear were found in the Beskydy Mountains  but no clues pointing towards the person or persons responsible. Friends of the Earth Czech Republic are offering a reward to anyone providing the information which would lead to an apprehension of a poacher but so far, no-one has been convicted of poaching in the Czech Republic. Although the total damage caused by large carnivores in our country is negligible, any report of an attack on livestock may increase public support for poaching. Working with farmers to prevent such attacks is an important part of large carnivore conservation. Wolves and lynx are able to adapt relatively well to the cultural landscape with the dominance of agriculture and forests managed by people, providing they can get plenty of prey here. The bears are the species most sensitive to the degradation of natural habitats because they need large areas of relatively undisturbed forest to find enough food and quiet hiding places. All three species have large spatial requirements. Large carnivores commonly travel long distances in search of prey, new territory or a mating partner. The landscape fragmented by transport networks, construction, and industrial activities poses many obstacles to carnivores’ movement. Following their instinct, animals often attempt to cross the roads endangering themselves and the drives. Small populations which become entirely isolated cannot survive in the long-term. The combination of isolation and poaching seems to be threatening the survival of the Bohemian Forest lynx population which has been stagnating for over two decades. 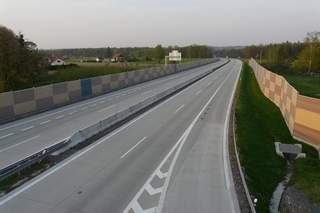 According to the 2009 Report on the State of the Environment in the Czech Republic presented to the government, the rate of habitat fragmentation in the Czech Republic increased significantly between 1980 and 2005. The proportion of unfragmented landscape decreased from 81% to 64% and is predicted to further drop to 53% in 2040 . The protection of large carnivores requires a transboundary approach. The territories of many animals in the Western Carpathians straddle both sides of the Czech-Slovak border. Moreover, the small populations of large carnivores in the Beskydy and Javorníky Mountains – at the edge of their continuous presence – depend on the migration of young animals from the core area in Slovakia. All three species of large carnivores are strictly protected in the Czech Republic and Poland but the Slovak authorities allow legal killing of several tens of wolves each year. Despite the fact that the practice contradicts the European legislation, the heavy hunting pressure on the Slovak wolf population continues and it appears to be the major reason behind the failure of wolves to recolonize the habitats to the west of the Czech-Slovak border. Slovakia also has an unsystematic approach to the so-called regulatory hunting of bears that are perceived problematic. The hunting permits in such “exceptional” cases are issued without any proper assessment of the problem and possible effects on the population. Červený J., Koubek P., Bufka L., 2002: Eurasian lynx (Lynx lynx) and its chance for survival in Central Europe: the case of the Czech Republic. Acta zoologica lituanica 12 (2002). 62-366.